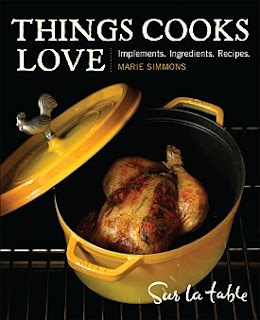 Things Cooks Love: Herbs -- From Things Cooks Love: Implements. Ingredients. Recipes. Herbs -- From Things Cooks Love: Implements. Ingredients. Recipes. Herbs add flavor and fragrance to your cooking. Here are some ideas for using your favorite herbs. Basil is pleasantly sharp, with notes of mint, thyme, and clove. The herb’s mintlike taste goes well with tomatoes, seafood, chicken, pasta, and fresh fruits. This highly aromatic herb is used in broths, soups, and sauces. Most cooks prefer the taste and aroma of Mediterranean bay (or Turkish bay) to the more pungent California bay. Chervil’s mild parsley flavor with notes of licorice goes well with salmon, potatoes, peas, and carrots. The delicate onion flavor of chives goes well with eggs, potatoes, fish, shellfish, and many vegetables. Also called Chinese parsley and fresh coriander, cilantro has a distinctive taste. It is widely used in cooking all over the world. The flavor of fresh dill is reminiscent of lemon and celery. It’s popular for salmon and other seafood, eggs, tomatoes, potatoes, and in salad dressings. Marjoram is in the same family as oregano, but has a sweeter flavor. Italians use it in frittatas, eggplant dishes, and with tomatoes. There are many varieties of mint, but the most common is the mild spearmint. It is a classic flavoring in iced tea, tomato salads, with green beans or braised carrots, and in tabbouleh. Oregano’s flavor notes of pepper and thyme pair well with chicken, red meats, pork, tomatoes, and most vegetables. Use it sparingly as too much can produce a bitter taste. Parsley has a pinelike flavor. It’s available as curly leaf and as Italian, or flat leaf, which has a more distinctive flavor. Use a finely chopped mixture of parsley and shallots or garlic, called persillade in French, to flavor sautéed mushrooms and other vegetables. The camphor notes in rosemary go well with hearty flavors such as roasted poultry and meats, or vegetables and legumes. It is a key flavor in the herb mixture herbes de Provence. Like rosemary, the camphor notes in sage define its flavor. It goes well with turkey and it is also used to season duck, pork, and breakfast sausage. The unique aniselike taste of tarragon marries well with eggs, and mild-flavored vegetables such as zucchini and other summer squashes. A member of the mint family, thyme is often used with other herbs, and is always included in a bouquet garni and in herbes de Provence. It is also used on its own in soups, stews, vegetable dishes, and seafood and meats.